Bariatrics Adjustable Beds are available in twin, full, queen, king dual queensize and cal kingsize. Maufacturers are Electropedic, Ergomotion, Leggett & Platt (Prodigy 2.0 and S-cape), Reverie 9T, Flexa-Bed, Primo Power Ergo motorized base foundation. Bariatric Beds are heavy duty extra wide and large with a weight capacity of 350 lbs. 400, 450, 500, 550, 600, 650, 700 , 750, 800, 850, 900 and 1000 pound capacity. Available 42", 48", 53" and 60" wide. High-Low and Trendellenburg. Manufacturers are Tuffcare, Burke-Bariatric, WOK, Big-Boyz, Invacare, Drive. Hospital Beds come in either 2-motor semi-electric or 3-motor fully electric hi-low up and down high lo. Standard 36" wide. Available all sizes. Manufacturers are Invacare, Drive, Flex-A-Bed, Lumex Graham Field Patriot, Tuffcare, Transfer Master Supernal 5. 100% Pure Certified Organic Dunlap Latex Foam. The 2-motor infinite position zero gravity reclining seat lift chair recliners Pride, Med-Lift, Golden Cloud MaxiComfort, Relaxer with optional pillow tilt and massage. Scooters are available in 3-Wheel and 4-Wheeled models. The Go-Go is the most popular lightweight compact model for the seniors and elderly. Easy to use foldable GoGo Elevators are also called VPL Vertical Platform Lifts and PL Porch Lifts. The Macslift PL50 and Macs PL72 are our most popular senior elderly handicapped access models. Manufacturers are MacLift, Trus-T-Lift, Harmar and Bruno. My husband and I first found Electropedic earlier this year (2018) when we purchased a bed with a latex mattress. All we can say is, "Wow! Latex is SO comfortable to sleep on!" This really is the best bed we've ever had. Then in October we decided we needed a porch lift to reach the front door with our scooters. Previously, we had to drive them all the way around the house to the back door to get in. 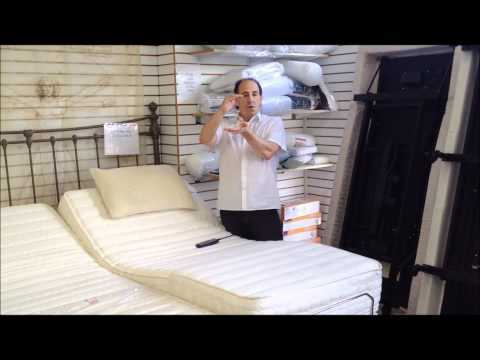 We had seen porch lifts at the store when we bought our bed and the man who helped us, Brad, answered ALL of our questions. A porch lift is basically an elevator and we were worried that buying and installing something like that would be very complicated. It wasn't, in fact the store made everything so easy. The fact that we can get in and out of our house again using the front door means we don't have to think about selling the house we've been in for more than 35 years. Electropedic is a very helpful store!